On Monday September 11th, Lisa from the Road Safety Authority (RSA) visited our school to give a road safety talk to all of the classes. The talk was very useful and Lisa gave the pupils some very useful tips when using the roads. 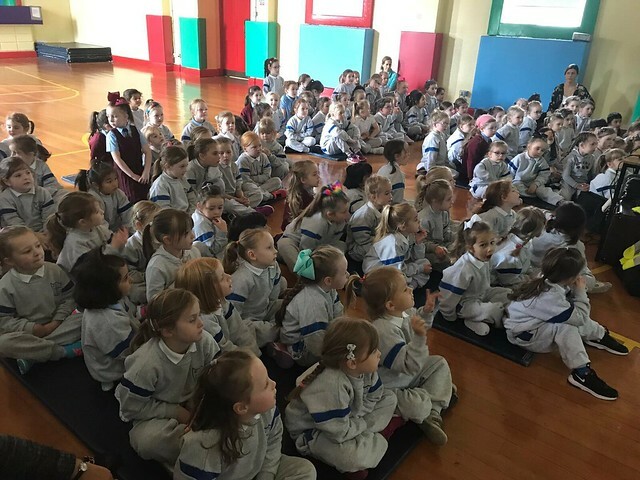 Our Junior Infants got some high visability jackets to wear for their journey to and from school.The RSA advises that Parents/Guardians talk to their children about using the roads safely getting to and from school. Click on the image below to view photographs..